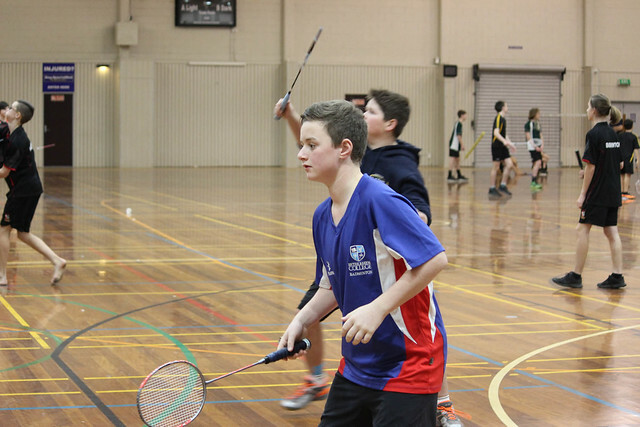 Each year the Junior Badminton Finals roll around where each region hosts qualifying tournaments during Term 2. The winners and runners up have the opportunity to compete for the title of best in the Bay of Plenty in their age group. This year, schools came from all over the BOP; over 350 students well represented from as far as Whakatane, Rotorua, Taupo and of course, Tauranga. Badminton numbers are still increasing all across the Bay, it is one of our biggest growth sports in the calendar. This year we had Premier grade, A grade and B grade due to the large number of students in the competition. The Girls section - it was an exciting competition all round with girls displaying great fitness and speed. The Premier Grade saw Bethlehem College defend their title to take the overall trophy. A grade and B Grade were both taken out by Otumoetai college. The Boys section- there was some powerful athletic shots produced by the boys. The competition was tight - some grades even went to coin toss to decide the winner. The Premier Grade and A grade was won by Bethlehem College while B grade was secured again by Otumoetai College. Congratulations to the athletes that participated, to all the teachers and support staff you guys are a credit to your schools.